Is there a better alternative to Encrypter? Is Encrypter really the best app in Security category? Will Encrypter work good on macOS 10.13.4? 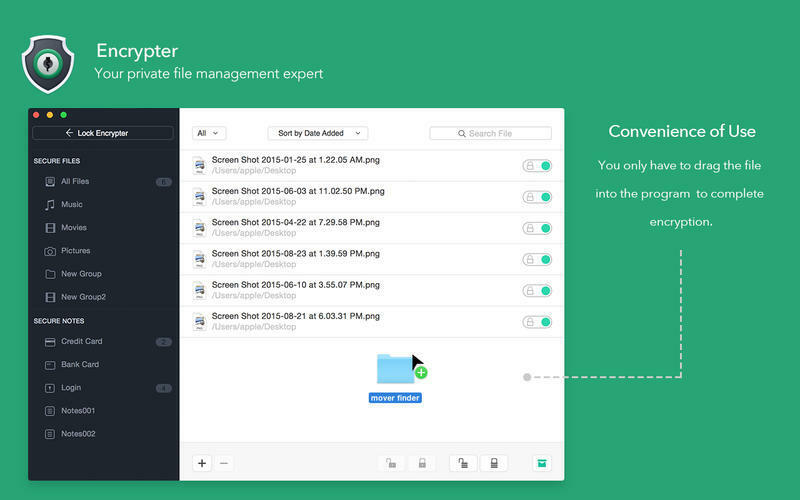 Encrypter provides fast and convenient encryption-based protection for your private files, ensuring your private data security. Encrypter provides reliable security protection for your business information, videos, e-books, private photos and important files. Typically, you only have to enter the login password to access these data conveniently. Without the password, no other people can access the data or transmit or duplicate the same to other storage devices. Encrypter needs a rating. Be the first to rate this app and get the discussion started! You only have to drag the file into the program to complete encryption. With the encrypter, you can complete the retrieval and management of private files at any time without starting the main program.